On Saturday the 3rd of August Considine’s, global and local, will gather at Considine’s Bar (the nearest bar to the Cliffs of Moher) reuniting the clan in our ancestral homeland Co.Clare. Considine’s will be open from 11am offering beverages and light snacks. At 6pm Maureen Considine will host and informal meet and greet encouraging those gathered to get to know their extended family by sharing their histories and family trees. At 7:30pm Craig Considine will present his research “A Considine History, including; the origins of the name Considine (dating back to Emperor Constantine and before); the roots of the Irish Considine’s dating back to Brian Boru; and Considine’s in modern times with a focus on emigration. By 9pm there will be a traditional music seisun led by well known Co. Clare musicians Adrian O’Connor and Rita Dowling and the Considine Clann will celebrate till late. Artist Maureen Considine created this Gathering event as part of her project ‘In Search of My Father’ a contemporary art project on personal and familial identity. Maureen’s father Mathew Considine died, aged 30, when she was a newborn and having reached thirty years in 2012 Maureen became preoccupied with the question: what does it mean to be a Considine? 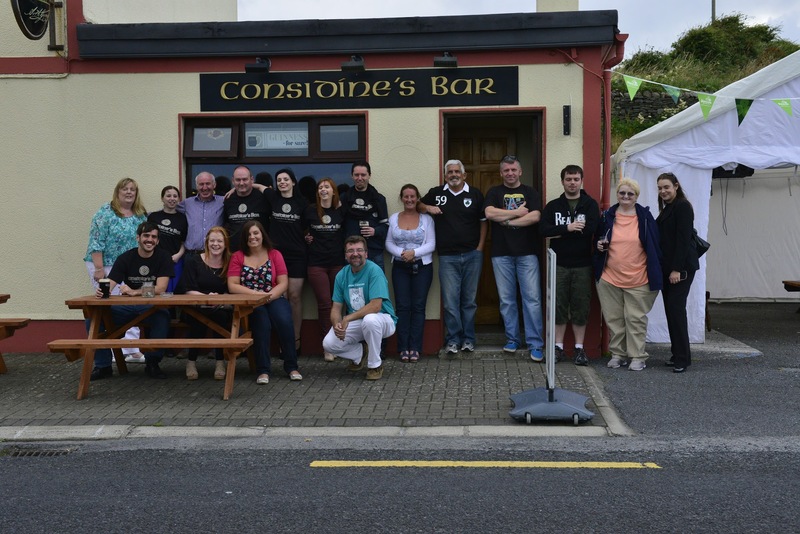 Encouraged by family members, weary of meeting only at funerals and the occasional wedding, and members of the facebook group Club Considine, Maureen chose Considine’s Bar in the beautiful west of Ireland, close to the Cliffs of Moher, as the perfect location to call the clan home. Maureen got in touch with Kevin and Catriona Considine the owners of the bar and delighted in chatting with her distant cousin Kevin. Kevin and Maureen agreed on a date for the Considine Gathering and made a loose plan for the event, with Maureen handling the online details and Kevin and Catriona preparing to host the clan in their bar and home. Soon afterward Considine’s across the world, particularly the US and UK began planning their homecoming. Barry Considine and his son are travelling from New York; Pam Considine is journeying from Florida; Laura Considine Hehemann hails from Illinois and Chris Considine of New Hampshire will also make the journey home. This Gathering of a diverse group of people united by the unusual name will be one to remember.